Infectious canine hepatitis is a contagious viral disease of dogs, foxes and other canids. The disease should not be confused with human hepatitis, even though both diseases cause liver problems. Dogs and other canids do not transmit the disease to humans! 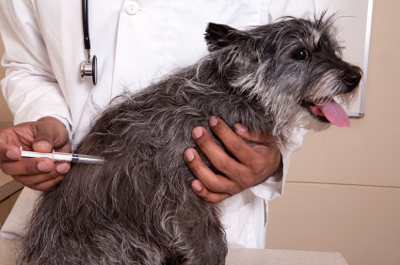 Vaccinations are extremely effective in preventing this disease and it is rare that a vaccinated dog becomes infected. Two forms of the disease are possible. With the acute form of the disease, dogs develop a high fever, vomiting and diarrhea. Eventually they become moribund and die. All of this occurs within a few hours. Vaccination against hepatitis is usually combined with Distemper vaccine. The vaccine is very effective in preventing the disease. Boosters should be administered regularly.